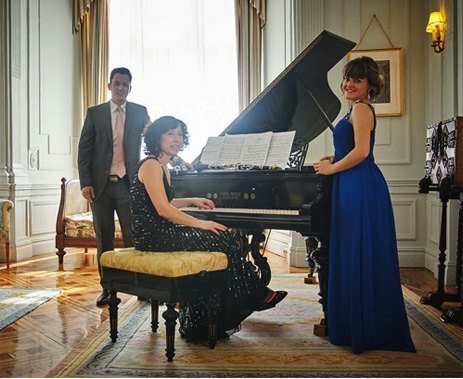 The Baalbeck Trio was founded by the following musicians in 2011: Laura Colina Donosti (soprano), Javier Berná Pic (clarinet) and Marie-Vida Obeid (piano). It came about because of their interest in performing and publicising the varied, original chamber works for this musical formation. It is a repertoire which despite its potential expression and beauty, has rarely been performed in concert halls. From its first performances, with a programme which includes the famous lied D.965 Der Hirt auf dem Felsen (The shepherd on the rock) by Schubert, the Baalbeck Trio has been warmly received by public and critics alike. The name Baalbeck is originally phoenician and comes from a town in the Lebanon, birthplace and breeding ground of different cultures. There you can see the impressive roman temples of Heliopolis and hear the famous music festival. 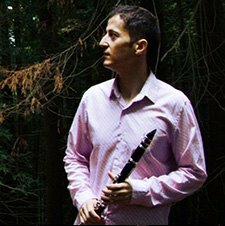 Born in Cox (Alicante, Spain) Javier Berná is a multifaceted and prominent musician who combines his activities as soloist as clarinettist with equal intensity with teaching at the Conservatory Jesús de Monasterio from Santander. 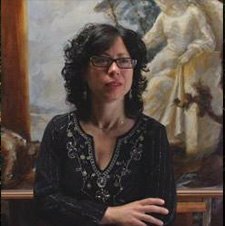 Marie was born in Lebanon, where she studied piano in the Beirut Higher Conservatoire.